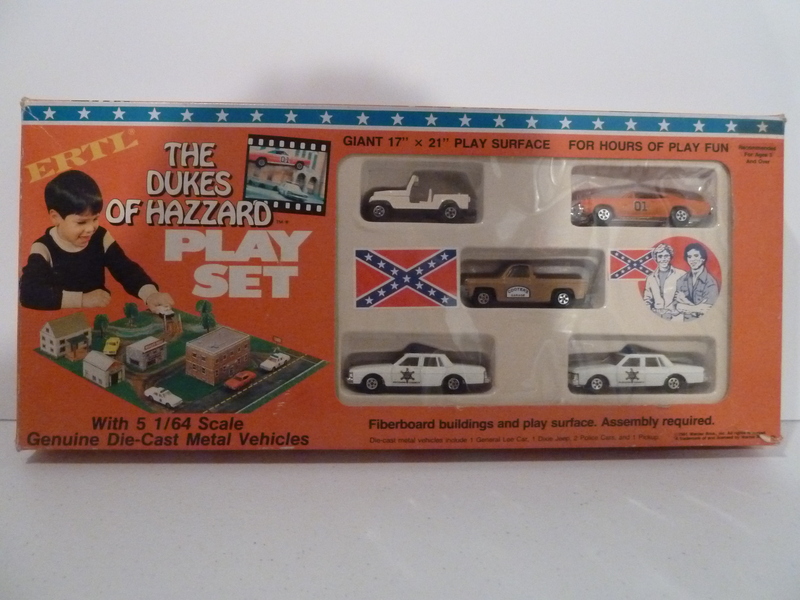 A staple Dukes of Hazzard toy. The playset from Ertl includes 5 cars, a play surface, and buildings. There are several different versions that include different cars and slightly different packages.